New York-born, but Boston-raised violinist will forever be introduced as “the son of jazz sax player Joe Maneri”. Classically-trained, he opted to explore multi-string variations of electric violin and electric viola. His first recordings date from the mid-1990s and the plethora of labels that housed his early output – from ECM to Leo Records to Hat Hut – illustrate as much early-stage eclecticism as genuine artistic hesitation. Jazz violin had been for years dominated by European musicians and American players, if they opted for the instrument at all, tended to pretend that nothing much had happened in music over the last 50 years. Maneri’s formula proved revolutionary – his preference for low registers invited timbric juxtaposition of unusual tunings in non-traditional orchestral contexts. If some of his early recordings maneuvered somewhat languorously, by the time Maneri sat down to record “Pentagon”, his introspective style had transcended all stylistic limitations. Often in duo with trombonist Ben Gerstein, a multi-faceted Maneri careers swiftly, surrounded by a plurality of contributions from triadic keyboards and punctiform percussion. The record is enframed in two painful etudes for multitracked acoustic and electric violins. Slowly expanding waves of glissandos wash romantically, subverted only by subcognitive laptop gurgling. Without a shade of supercilious pathos, the track is undone with a quasi-Mahlerian finish. Freeze frame and we are up against an ultra-modern combo progressing at a most slothful of paces. The palette is impressive – an “electric Miles” piano, organ panels, unglazed trombone and skittery drumming. Ben Gerstein on sullied trombone dominates here, keeping the ensemble in an unhurried, tepid mode. This inviolable, insoluble order rewards with incredibly rich textures. Keyboards and electric violin occupy parts that in other formations would be scored for guitar. The track is perennially expansive – always broadening the spectrum and disappointing those who could expect a melodic or rhythmic conclusion. It remains conceptual, rather than inferential, and advances amoebically, if it “advances” at all. Jamie Saft’s organ interacts with muted cymbals and splices of other keyboards occasionally step into the fray. Saft’s and Gerstein’s soloing achieve an unlikely intensity, oblivious to the free form structure nurtured by the rest of the band. A determined funky rhythm greets us with that ultra-modern, cybernotched derivative matrix familiar from Date Course Pentagon Royal Garden’s recordings (something about 5-angled forms here?). Craig Taborn spews from his laptop a nice ‘vinyl’ crackle and a pre-recorded, Larry Young-ish organ is being continually reprocessed – slowed up and sped down throughout the solo exposé. This unexpected impromptu is urbane and astute, but a tad too short. Muted trombone explores various orifices in the multi-percussive, non-metric soundscape. There are two drummers here – John McLellan and Tom Rainey, both engaged in highly chromatic, delicate, almost furtive research. Electric piano parts are suggestive of a distant stylistic kinship with Miles’s cohort Cedric Lawson. Meanwhile, Maneri’s bizarrely amplified electric viola swaddles nicely in a spaced-out dialogue with the trombone. Astonishingly, the trombone is perched higher than the viola, which makes these dialogues so unique. Gerstein’s lyrical tone quality would indicate that he plays an alto trombone here (?). And throughout, very discrete harmonics is being masticated by Taborn’s laptop. T.K. Ramakrishnan’s mridangam awakens, contrasted here with a multi-violin passage as mournful as Terje Rypdal’s early orchestral works. Nuances abound, as string processing slows things up like in Gavin Bryars’ classic “Sinking of the Titanic”. Mridangam scuttles around and between channels like inebriated dragonfly. 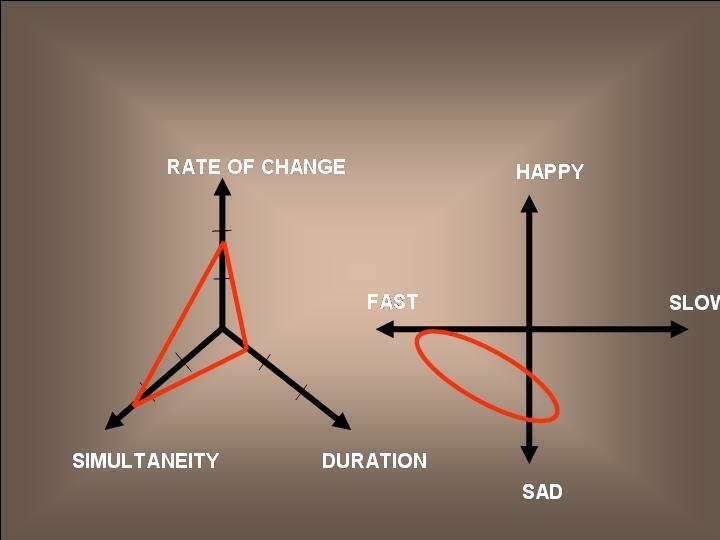 The close proximity of the fatalistic, sorrowful string portamentos and the snakehipped, agitated Indian barrel drum is highly successful in its destruction of context sensitivity. The two drummers appear here in a more directly rhythmic role, but their playing remains very lateral and textural, with more stress on cymbal work than on previous tracks. Craig Taborn’s Fender Rhodes tilts towards solos, and so does the trombone. John Herbert’s bass is pitched thunderously low but acts almost surreptitiously. It does proffer a semblance of structure, though, for an attentive ear at least. Otherwise, one can’t really tell where the overall coherence comes from as the frontloaded solos extend spectrally and fail to provide a reliable sense of direction. Maneri’s role is more limited – short commentaries, purely polemic, as if triggered by the trombone. A circumspect, brooding forest of percussive substrates engulfs Joe Maneri’s acoustic piano. Papa Joe brings here an aura of mystery, sometimes underpinned with the trombone in a quasi-harmonic mode. Then Maneri’s violin injects some Seifert-an moments and Saft’s organ spews a barbarous hiss. The drummers crowd in false interjections and we are plunged deeply into the mystic world of violinistic lament, fast drumstick hatching, and eerie, hiccupped bisbigliandos on the piano. Somewhere far away another source of harmonics (pre-recorded violin?) resonates, magnifying the illusion of depth. Surprisingly, just as we expect the formless mass to muddle through with an ease of Escherichia coli, there is a sudden, dramatic climax. The violin weeps gently, comforted by a friendly trombone. Joe Maneri’s piano is now reduced to an almost idiophonic role. Feder Rhodes re-appears, in a knot with the continued percussive frottage and Mat Maneri returns on electric viola. The production is extraordinarily mellifluous and well-defined. The fluency of Jamie Saft’s engineering must be applauded. Heavy avant-funk piece led by Joe Maneri’s saxophone, acid-leached with turntable scratches, woopy bass and superspeed Jon Rose-like violin squeaks. All this stockpile of riches is suddenly abducted to serve a songform. Although Sonja Maneri’s nasal vocal is firmly anchored in jazz tradition, it operates here against the atonal subtexts of prepared piano spurts, booming funk bass, sparse, dampened cymbals and regular hi-hats. An excellent edition to your library of avant-songs. Muted trombone, percussion and Feder Rhodes prepare the ground for the now familiar electric viola’s lowland soundscape, with Gerstein’s trombone usually more agile than the Maneri’s amplified instrument. Between the two drummers, one is rooted in the tradition of impressionistic mosaics, the other epitomizes neo-harmolodic idiom. The interspace between them is plastered with the organ and synthetic frizzle. The whole construction generates an illusion of false indeterminacy. One of the keyboards even re-creates a mellotron-like chorus. Short intermezzo populated with an unlikely trio of old male vocal, sampled mellotron and mridangam. The lisping voice is heavily argumentative and emotes in a tragicomical fashion. This is an organ-based symphony of altered chords and ornaments from the full orchestra of sampled mellotron, rich rhythm section, and distinctly guitar-sounding fuzz violin. In other words, a bizarre heavy-metal jazz moment for avant-garde ears. Craig Taborn’s electric piano sounds impulsive and gritty. Soon enough, the impetus collapses into a mesmerizing inquadratura painted by the trombone, electric violin and skittish drums. Intentionally or not, the ‘mellotron’ part begins to evoke King Crimson’s LP “Lizard”. The full ensemble is now anti-melodic and recombined mayhem rules. Self-styled fuzz violin makes a comeback, but the way Maneri sustains the notes makes you believe that the instrument is plucked and processed, rather than bowed. The record turns the full circle now, back to the romantic opening. Despite the hissing keyboard, this is a romanticizing, tranquil violin soliloquy: temperate and affective, but also multi-form and undecidable. Electronic sizzles intrude upon the lyrical bliss, but do not durably distract. 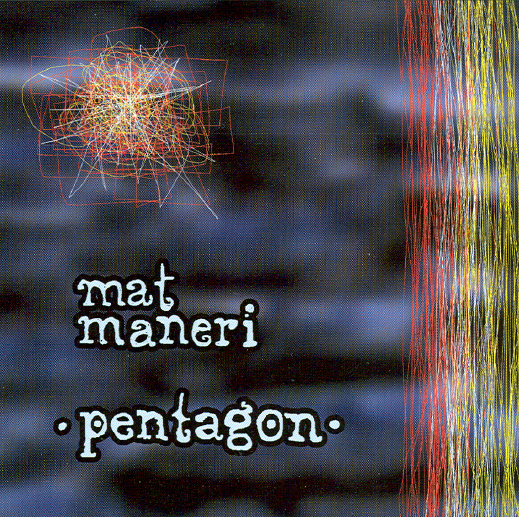 I was charmed by “Pentagon”, but my knowledge of Mat Maneri’s other recordings is spotty at best, and I am aware that many other positions exist. Should you be aware of anything remotely similar to the chef d’oeuvre described above, Sonic Asymmetry would follow-up with glee.